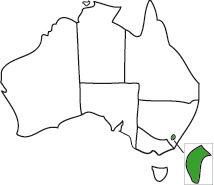 The Australian Capital Territory (ACT) is located in the south-eastern region of New South Wales. 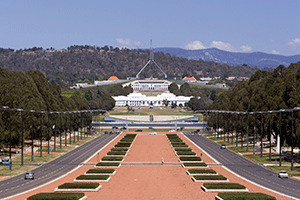 Canberra is the ACT’s capital city as well as Australia’s federal capital and was designed by architect Walter Burley Griffin in the early 1900s. Canberra boasts many impressive government buildings and national centres. Canberra has a small-town feel with the cosmopolitan comforts of a capital city, offering top-quality sporting events, festivals, shopping malls, restaurants, bars and live music venues. 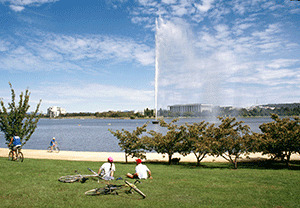 The tranquil Lake Burley Griffin is a great place to relax or ride a bike. Parliament House is the city's focal point. It is open for viewing by the public, giving you the opportunity to observe Australian politics in action and appreciate the Australian art featured throughout the building. Old Parliament House was home to Australia's Federal Parliament for more than 60 years until the move to the new location in 1988. Today, this much-loved heritage building houses the Museum of Australian Democracy and offers visitors a unique glimpse into Australia's past. For a taste of Australia's military history, you can visit Canberra's major ceremonial avenue, Anzac Parade, which has 11 memorial sites dedicated to the many Australian soldiers who lost their lives in war. The stirring Australian War Memorial is located at the northern end of the Parade.The avenue is easily recognisable from the Mt Ainslie lookout. In addition to housing Australia's major federal government departments, Canberra is also home to some of the nation's most significant cultural centres. Among them is the National Gallery of Australia; the National Library of Australia; and the National Film and Sound Archive, which showcases the history of Australia's film, television and radio industries. The National Science and Technology Centre, Questacon, is also based in Canberra and is Australia’s leading interactive science and technology centre. The Snowy Mountains are located within a two-hour drive of Canberra and offer a range of outdoor activities, including skiing, hiking, mountain biking, snowboarding and horse riding. The beautiful southern coastline of New South Wales is also an easy drive away, along with the bigger city offerings of Sydney. For further information, see the Visit Canberra website. The median weekly rental price for a house in Canberra is AUD$550, while the median weekly rental price for a unit is $450. The ACT has a bus network with weekday, evening and weekend services. Buses use the electronic ‘MyWay’ ticketing system. International students can apply for MyWay student cards, which entitle them to discounted travel. Bike paths make cycling to class an option for many students. For more information about public transport and fares, see the ACTION website. The ACT has four distinctive seasons, with temperatures ranging from an average daily maximum of 12°C in winter to 28°C in summer. Note: Information and figures presented here are intended as a guide only and may change. Source of rental data: Domain Rental Report, September 2018. 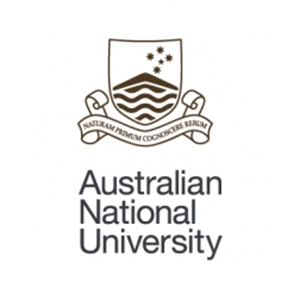 While the ACT’s quality higher education institutions make it an excellent place to study just about anything, its status as the home of the Australian Government makes it the ideal place to study courses in politics, international relations, public service, law, journalism and security. It’s concentration of national research centres also makes it a good choice for research higher degree candidates. International students make up 27 per cent of the total number of students studying in the ACT. There are five universities in the ACT, in addition to a range of private higher education providers and TAFE institutes. The student population in the ACT is roughly 36,000. Of these students, around 38 per cent are from interstate and 27 per cent are from overseas.